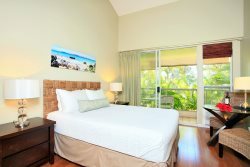 Part of a larger group renting more than 1 property on Maui? Getting married or attending a wedding while on Maui? Have friends or family living or staying on Maui? -Please be aware of our group gathering restrictions! Due to Maui County vacation rental home license requirements, please be aware that the Bliss Beach House is for the exclusive use of registered guests only so you will be unable to have any friends or family over to the property for shared meals, pool time, or any other group gatherings. Noise at any time of day (especially during the 8pm-9am Quiet Hours), excessive pool noise, and group gatherings are the main reasons for neighbor complaints of vacation rental properties. Very few owners/property managers actually allow group gatherings (unless they are on large or rural parcels, not in residential neighborhoods), but many don't make it clear to guests in advance, so then when the guests do have gatherings or friends/family over to the house, they run into problems because of noise and/or parking issues and guests are then disappointed since they weren't made aware of this in advance. This type of situation can occur because guests think that it would be no problem to invite over a few close friends or family members for a small BBQ or group dinner or when guests invite over their friends/family staying elsewhere to hang out by the pool at the property. Each of these situations would be a violation of the Maui County vacation rental license and is not allowed. To help ensure you have a Blissful time on Maui, we want our potential guests to be aware of the quiet hours and group gathering restrictions in advance to avoid any problems after your arrival and so that guests have time to make plans for alternate locations for group gatherings while on Maui. ***WEDDING AND LARGE GROUPS PLEASE NOTE*** Any group that includes someone getting married on Maui, groups coming to attend a wedding on Maui, or groups renting more than 1 property on Maui must disclose this to us and must receive pre-approval from us BEFORE booking as we are normally unable to offer the Bliss Beach House to these type of groups.